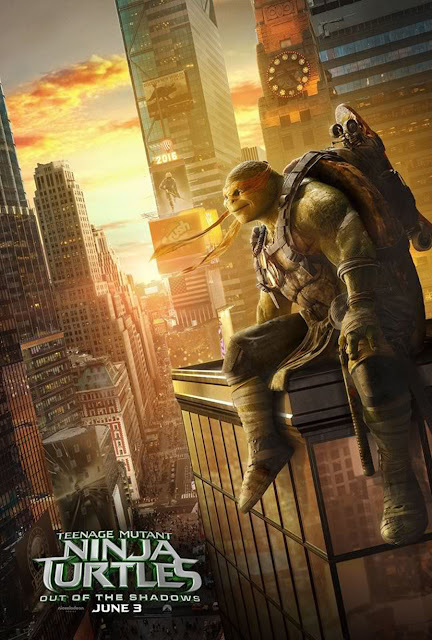 Each ninja turtle gets his chance to shine in the newly released character posters from Paramount Pictures' new action-adventure “Teenage Mutant Ninja Turtles: Out of the Shadows.” See Raphael, Michelangelo, Leonardo and Donatello in their moody, solo one-sheets below. “Teenage Mutant Ninja Turtles: Out of the Shadows” is the sequel to the 2014 hit film “Teenage Mutant Ninja Turtles.” The film is based on the Teenage Mutant Ninja Turtles characters created by Peter Laird and Kevin Eastman and is directed by David Green (“Earth to Echo”). Michael Bay (the “Transformers” franchise) returns to produce alongside his Platinum Dunes partners Brad Fuller and Andrew Form, with Galen Walker and Scott Mednick also producing. 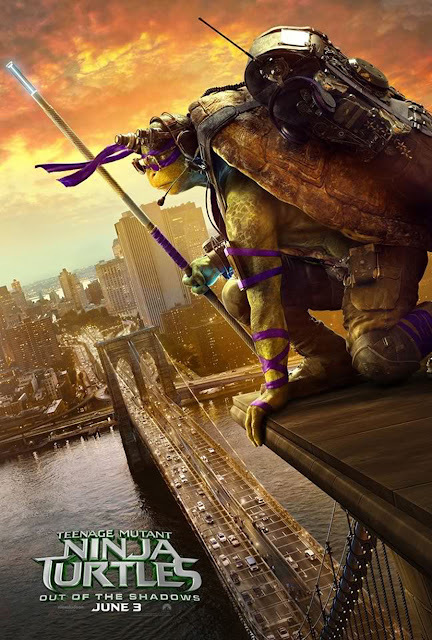 Also returning for the sequel is Megan Fox (“Transformers”) as April O’Neil, Will Arnett (“Arrested Development”) as Vernon Fenwick and the Turtles: Alan Ritchson as Raphael, Noel Fisher as Michelangelo, Pete Ploszek at Leonardo, and Jeremy Howard as Donatello. 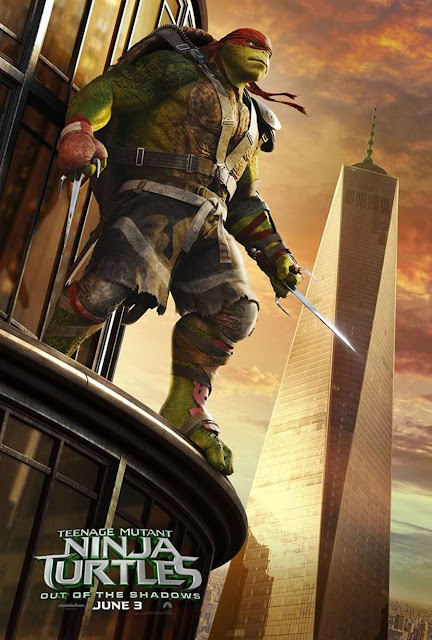 Rounding out the cast is Stephen Amell (“Arrow,”) as Casey Jones, Tyler Perry (“Gone Girl”) as Baxter Stockman, Academy Award nominated actress Laura Linney (“Love, Actually”) as Chief Rebecca Vincent, Brian Tee (“Jurassic World”) as Shredder, WWE World Heavy Weight Champion Stephen “Sheamus” Farrelly as Rocksteady and Gary Anthony Williams (“The Internship”) as Bebop. 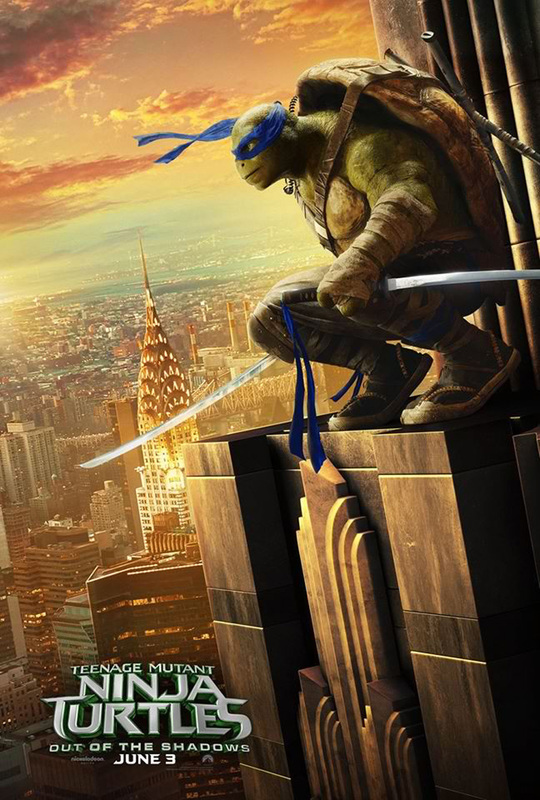 Opening across the Philippines in June 2016, “Teenage Mutant Ninja Turtles: Out of the Shadows” is distributed by United International Pictures through Columbia Pictures.